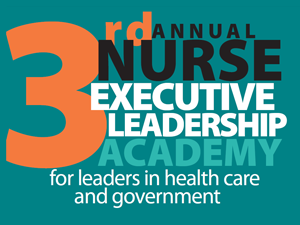 Building on themes of system integration and collaboration, the 3rd annual Nurse Executive Leadership Academy offers an energizing knowledge exchange forum for nurse executives from ALL sectors, including public health, primary care, hospitals, home care and long-term care. Participants will also engage in dynamic dialogue across sectors, on advancing the quality agenda, from a collaborative perspective, to impact system-level change. See the flyer for the 3rd annual Nurse Executive Leadership Academy.